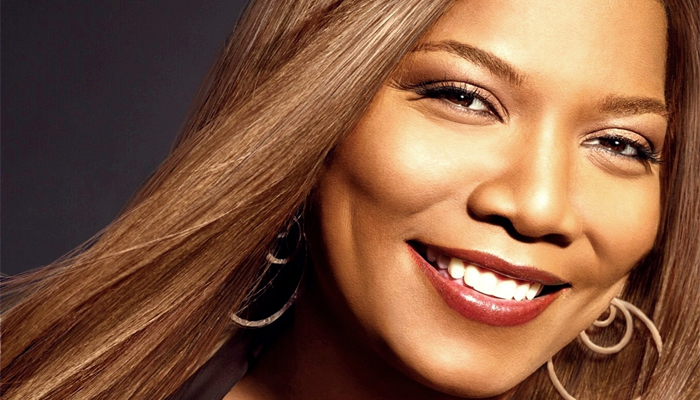 What Happened to Queen Latifah – What is She Up to Now? 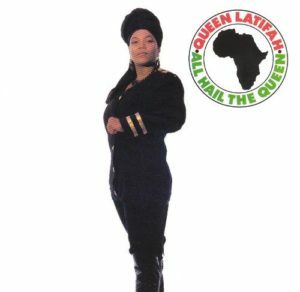 Queen Latifah first came into public eye in 1989 with the release of her debut album, All Hail the Queen. Hailing from New Jersey, she started her informal singing career in the 80’s as a member of Ladies Fresh, a rap group that she had formed with a few high school friends. With help from her mother, Latifah’s music eventually caught the attention of Mark James- an aspiring music producer who ultimately helped her to secure a recording contract with Tommy Boy Music Records. After he created a mix tape of her rap, it wasn’t long until said recording had made its way into the hands of an A&R executive at the label. Recognizing her potential, the label quickly forged a deal with the aspiring singer. In 1988, Latifah- who was only eighteen at the time, released her debut single entitled, Wrath of My Madness. The starting point of her music career, it was later followed by her first full length album, All Hail to the Queen in 1989. A breakthrough hit, the album cemented her place as a rising hip hop artist in the United States. Two years later, Latifah released her second studio album, Nature of a Sista (1991); it has since sold over 500,000 copies worldwide. Since then, she has put forth a number of additional albums, most of which have proved to be much more successful than her initial endeavors. Some of said albums include Black Reign (1993), Order in the Court (1998), The Dana Owens Album (2004), Trav’lin’ Light (2007), and Persona (2009). In addition to her studio albums, Latifah has also released well over twenty singles- some of her most popular hits include Ladies First, Come Into My House, Fly Girl, U.N.I.T.Y., Just Another Day… and It’s Alright. On top of her solo releases, the New Jersey-native has also contributed to several movie soundtracks such as those for The Associate (1996), Living Out Loud (1998), Chicago (2002), Hairspray (2007), and Joyful Noise (2012). 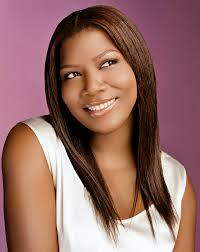 Beside being an accomplished recording artist, Queen Latifah has also made a name for herself as an actress. In 1991, she made her feature film debut in the romance drama, Jungle Fever. After another minor role in the movie Juice (1992), she received a big break having been cast as a series regular in the Prime time Emmy Award-nominated American sitcom, Living Single (1993) where she starred alongside Erika Alexander and Kim Coles. Since then, her filmography has only grown to include the films Living Out Loud (1998), The Bone Collector (1999), The Country Bears (2002), Chicago (2002), Bringing Down the House (2003), Scary Movie 3 (2003), and Beauty Shop (2005), to name a few. What has the all-around talented artist been up to since then? What has she been focusing her attention on lately- her music or acting career? Can we expect to see any new albums or singles from her this year? What about upcoming television series or film titles? What happened to Queen Latifah? Where is she now in 2018? Born on March 18, 1970 in Newark, New Jersey, Queen Latifah (Real Name: Dana Elaine Owens) is the daughter of Lancelot Owens Sr., a police officer, and Rita Bray, a school teacher; the two have since divorced. When she was eight years old, she was given the nickname “Latifah” by her cousin, a term that meant “sensitive and delicate” in Arabic. Growing up, Latifah had always enjoyed singing; not only was she a member of the local church choir, but she also participated in several musical productions in school- including the popular title, The Wizard of Oz. Having said that, it wasn’t until she was in her early teens that she started to direct her attention to the rap genre. Ultimately, it was during the freshmen year of high school that she first started to rap. Taking her hobby to the next label, Latifah later formed an all-girls rap group with a couple of friends called Ladies Fresh. Together, they appeared and performed wherever they go, including at various school events. With a little help from her mother, Latifah and her friends met Mark James, a local DJ who had recording equipment in his basement; before long, his home had become a hangout from the group. Later deciding to become a record producer, James made a demo tape of one of Latifah’s songs, Princess of the Pose. From there, he handed the tape to the host of a popular music show. As one thing led to another, it eventually made its way to the ears of an A&R executive at Tommy Boy Music Records. Noticing her immense potential and talent, the company immediately signed with Latifah. After releasing her debut single, Wrath of My Madness in 1988, Latifah released her debut studio album entitled, All Hail the Queen on November 28, 1989. Produced by Daddy-O, DJ Mark the 56 King, Prince Paul, and Louis Vega, it came with fifteen tracks including Mama Gave Birth to the Soul Children, A King and Queen Creation, Princess of the Posse, Wrath of my Madness, Inside Out, and Princess of the Posse– all of which were either written or co-written by the singer herself. A number of guest artists also made appearance in the album such as 45 King, Monie Love, Daddy-O, De La Soul, KRS-One. A moderate success, All Hail the Queen peaked at number six on the Billboard Top Hip Hop Albums Chart and at number 124 on the Billboard 200. To date, one of its numbers, Ladies First (Feat. Monie Love) remains to be one of Latifah’s signature tracks. Within a year, the album had gone gold in the United States, after selling over 500,000 copies- which wasn’t surprising considering the fact that it was met with glowing reviews. Two years later, Nature of a Sista was released on September 3, 1991. Her last album with Tommy Boy Records, it incorporated both new jack swing and vocal jazz-sounds in addition to her traditional hip hop. Produced by Latifah with the help of K-Cut, Louie Vega, Soulshock, Nevelle Hodge, and Cutfather, it featured twelve new songs including Give Me Your Love, Nuff of the Ruff Stuff, Latifah’s Had it up 2 Here, THat’s the Way We Flow, and Nature of a Sista. On the record charts, Nature of a Sista reached number 117 on the Billboard Top 200 and number 32 on the Top R&B Albums Chart. Eventually spawning three charting singles (e.g. Fly Girl, How Do I Love Thee, Latifah’s Had it Up 2 Here), it has since sold over 273,000 copies in the United States and more than 500,000 copies across the globe. Having said that, reviews were generally mixed; for instance, Entertainment Weekly gave it an “A”, while other critics such as Robert Christgau thought less of the album. On November 16, 1993, Latifah released her third full length album, Black Reign. Her first record with Motown Records, its production was handled by Tony Dofat, Kay Gee, Sidney Reynolds and the artist herself. Recorded in New York City, it contained fifteen tracks including the songs Bring the Flava, Superstar, Modd is Right, Winki’s Theme, Black Hand Side, and I Can’t Understand. Like her previous works, it also featured appearances from various artists such as Treach, Tony Rebel, and KRS-One. Her best-selling album up to this point, it charted on the US Billboard Top 200 at number sixty and on the US Top Hip Hop Albums Chart and number fifteen. Supported by four singles, one of which reached number two on the US Top Rap Songs Chart (e.g. U.N.I.T.Y. ), it was awarded a three star rating from contemporary critic Robert Christgau and a four star rating from Allmusic. 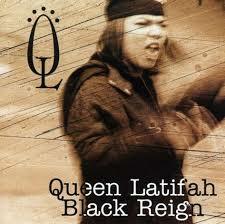 Since then, Black Reign has sold over 500,000 copies- making it Latifah’s first RIAA-certified album. Latifah’s next album, Order in the Court was made available on June 16, 1998. Dedicated to Tupac Shakur and The Notorious B.I.G., it was her first album to be accompanied with a Parental Advisory sticker. Recorded over a period of a year, its track listing consisted of fourteen titles including Turn You On, What Ya Gonna Do, Phone Call, I Don’t Know, Court Is In Session, and Black on Black Love; artists Antonique Smith, Inaya Jafan, Apache, Nikki D, and others also made guest appearances. On the record charts, Order in the Court peaked at number ninety five on the Billboard Top 200 and at number sixteen on the US Top R&B and Hip Hop Albums Chart. 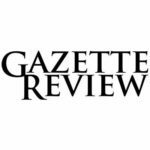 While some publications such as Entertainment Weekly gave it stellar reviews, others such as Rolling Stone and Allmusic awarded it a modest three out of five star rating. According to Niel Soundscan, the album has since sold over 500,000 copies worldwide. Following that, the hip hop artist dropped her fifth studio album, The Dana Owens Album on September 28, 2004. Not only was it Latifah’s comeback album, but it was also the first to incorporate jazz on top of her usual R&B and hip hop-oriented efforts. Over an hour in running length, it boasted twelve tracks including The Same Love That Made me Laugh, Close Your Eyes, If I Had You, Hello Stranger, Hard Times, Lush Life, and Baby Get Lost. A major success, it peaked at number sixteen on the Billboard Top 200 and at number eleven on the Top R&B and Hip Hop Albums Chart. Although opinion toward the album were mixed, it eventually earned a Grammy Award nomination for the category of Best Jazz Vocal Album in 2005. To date, The Dana Owens Album has sold over 2,000,000 copies across the globe. Three years later, Latifah released her sixth album, Trav’lin’ Light (2007)– it also happened to be her best-selling album to date. Released on September 25, 2007, the album peaked at number eleven on the Billboard Top 200 and at number six on the Top R&B and Hip Hop Albums Chart- a new record for the artist. A sellout in stores, it ended up selling over 700,000 copies in the US alone, making it Latifah’s third Gold-certified album; worldwide, more than 2,500,000 units have been sold. Since then, the star has released one additional album- Persona (2009), which has since sold more than one million copies worldwide. In terms of music, it looks like she hasn’t put forth any new material since 2009- although she did contribute to the soundtrack of Bessie in 2015. With that in mind, it’s not surprising to know that she’s been busy working on both the big and small screen. Since 2016, she’s been playing the role of Carlotta Brown in the TV series, Star. On film, Latifah will be starring in King of the South, a biopic that will center around hip hop mogul, Master P. The cast will also include Wendell Pierce, Romeo Miller, and Derrick Gilbert; it will presumably come out in 2017 although the exact date has not yet been announced. In addition to that, she will also be co-starring in the upcoming comedy film, Girls Trip (2017) alongside Jada Pinkett Smith, and Kate Walsh. Directed by Malcolm D. Lee, it will be released in the United States on July 21, 2017. If you’d like to stay connected with the American rapper, you can do so by following her on social media- you can find Queen Latifah on Twitter at @IamQueenLatifah or on Instagram at @queenlatifah. Previous articleJanet Jackson Net Worth 2018 – How Wealthy is She Now?